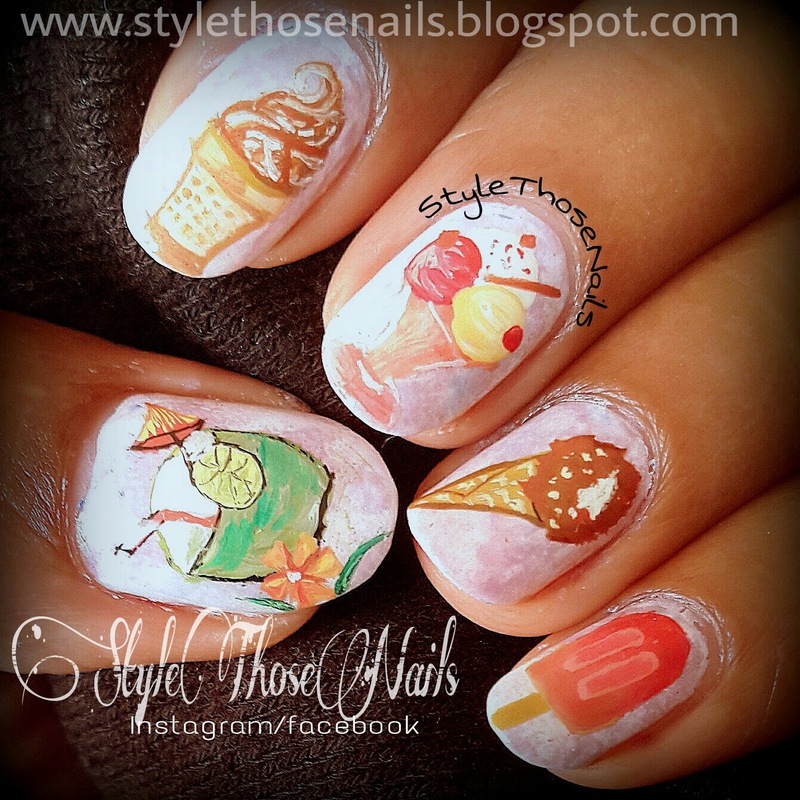 Style Those Nails: Freehand Ice Cream and Coconut Drink Nails - Chill Me ! 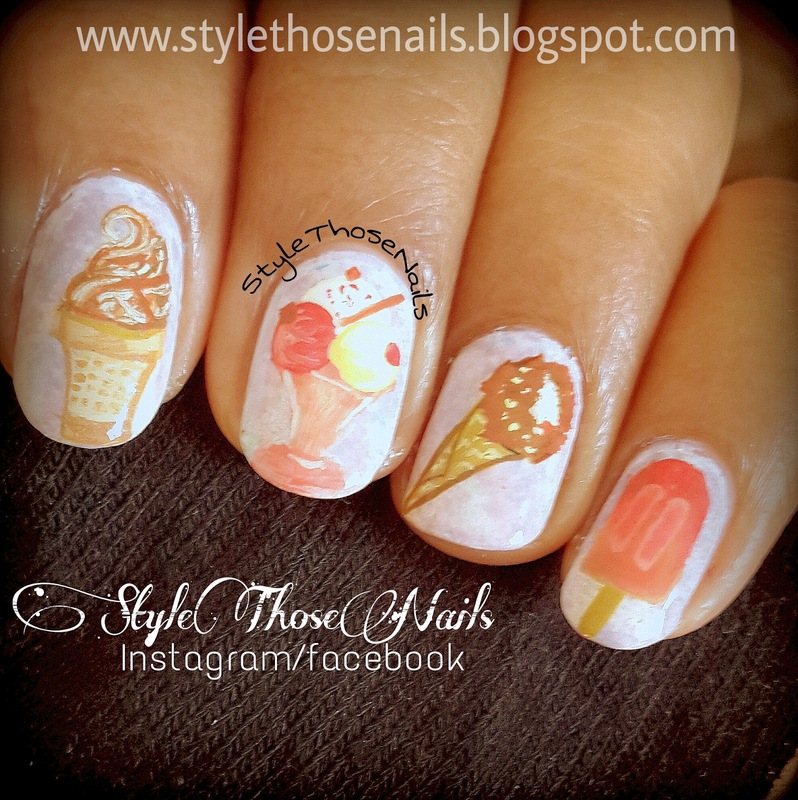 Freehand Ice Cream and Coconut Drink Nails - Chill Me ! Another day of #popularsummernails challenge and theme is Chill Me. If you want to be part of summer nail challenges JOIN HERE. ... I have also done few challenges from finger food buffet so I am also entering this mani for this weeks theme called Delicious. ... , Back to the mani.... What could be chilling and refreshing other than Ice-Creams and Cocktails :) So I decided to do different flavors of icecream and a coconut drink. Me and my Kids love it and who wouldn't that's why I love Summers !! ^_^ Below are some details and more pics of this manicure , so enjoy !! 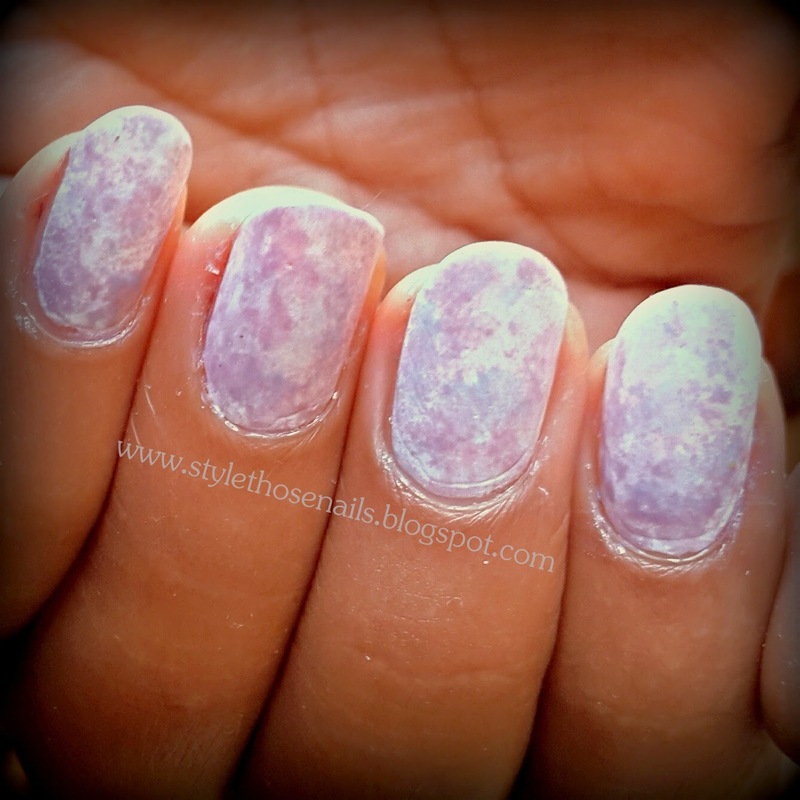 The base is created using light pastel shade polishes over a white base. I used Saran wrap (plastic wrap) technique. This is basically dabbing polishes on nails using a plastic wrap and that gives a marbled effect. It's a cool technique looks pretty by itself and can be used as base for freehand or stamping nail art etc. 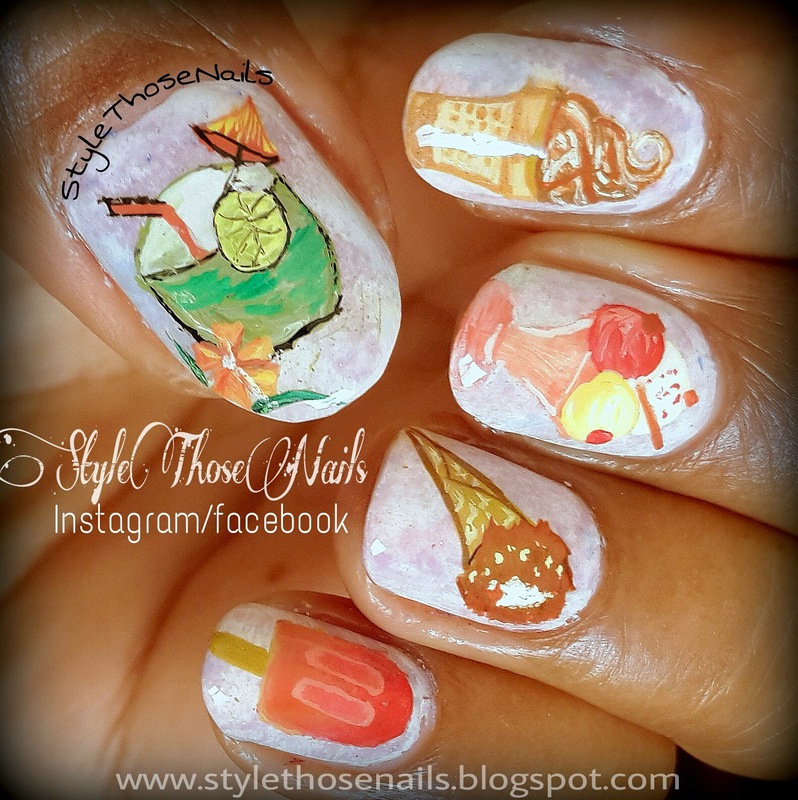 I freehand painted all different icecreams on four fingers. I googled for picture inspiration. On thumb I added a coconut drink. I love coconut water :P. Among ice-creams my favorite is butter scotch and vanilla-chocolate combo and I love to lick Ice lolly too :) ..... what you like ? CHECK OUT MORESUMMER NAILS BELOW Follow StylethoseNails Challenges's board Popular Summer Nails Challenge on Pinterest.